Their Pork Ribs Noodle was strongly recommended on a forum. I went purposely to try it. I was there at about 2.45 pm just before the stall closed at 3 pm. 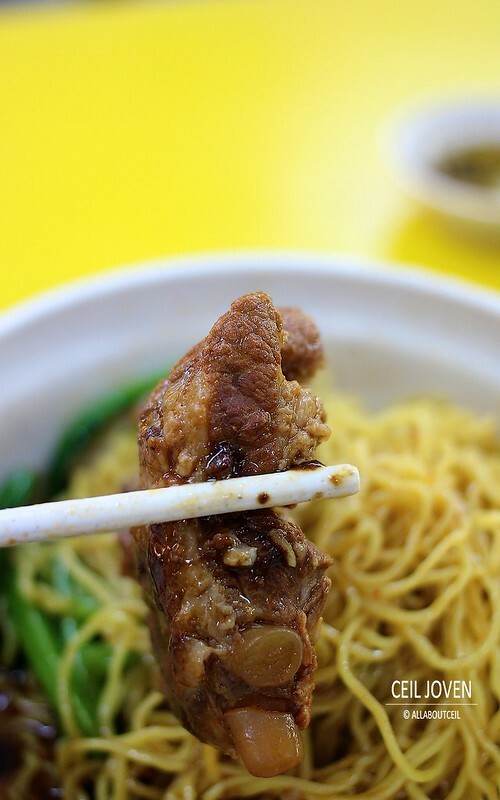 The Pork Ribs Noodle is reasonably priced at $4 but it is the highest priced item on their menu. 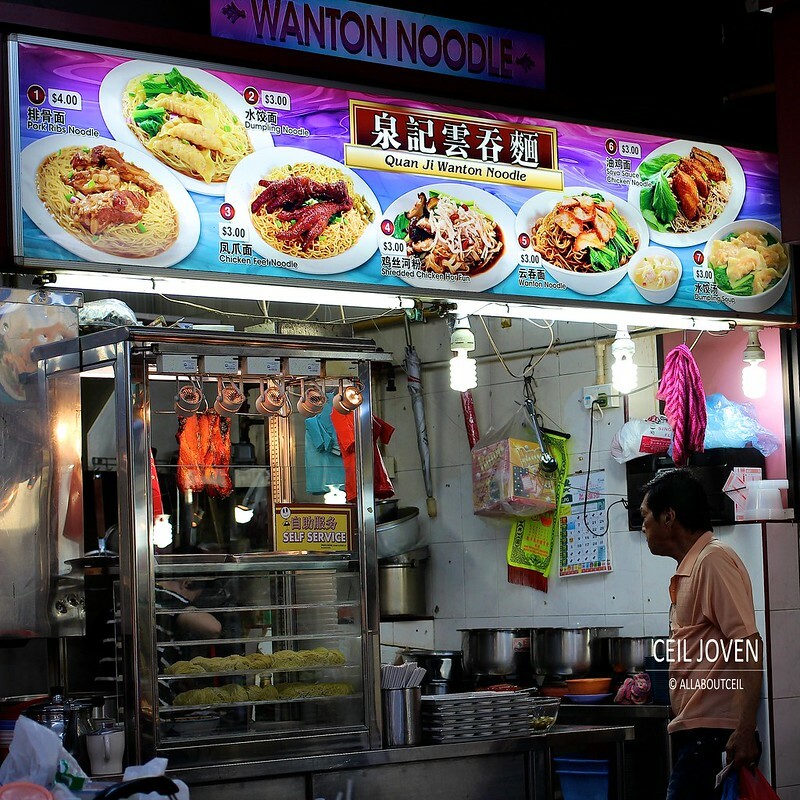 There are Wanton Noodle ($3), Dumpling Noodle ($3), Chicken Feet Noodle ($3), Shredded Chicken Noodle ($3) and Soya Sauce Chicken ($3) too. The stall was manned by an elderly couple when i was there. 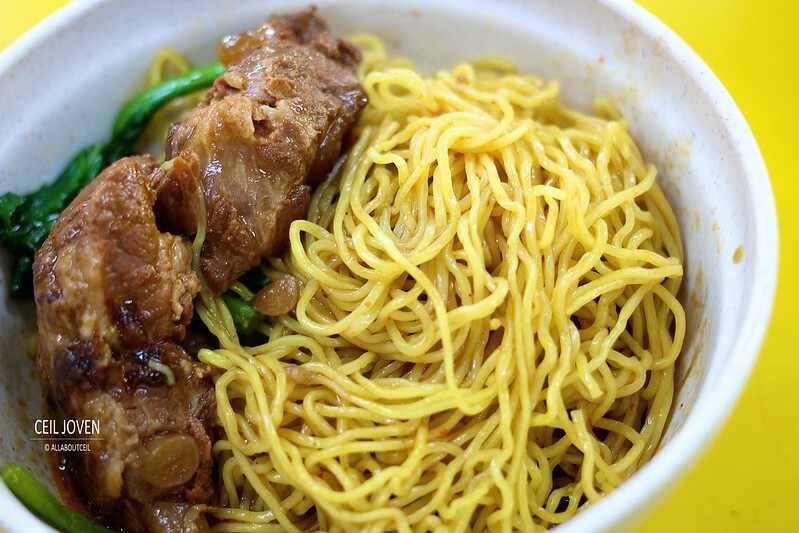 The Auntie first cooked the mee kia then placed in a bowl. Next, she went to a big pot to scoop up a few pieces of pork ribs with sauce and poured it into the noodle and added the vegetable before served it to me. A good portion of Mee Kia was served with 3 pieces of braised pork ribs and a few stalks of vegetables. A bowl of flavorful soup served along with the noodle. I mixed the noodle lightly with the braised sauce. 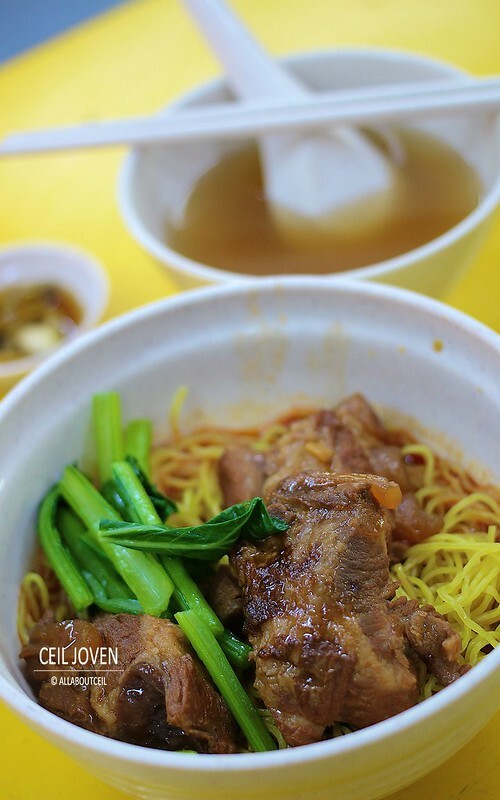 The nicely cooked Mee Kia tasted really good after soaked in the braised sauce and absorbed its flavor. The robust flavor and its amazingly soft texture of the braised pork ribs were simply irresistible. It tasted so soft that it came falling off the bone effortlessly. I particularly enjoyed the braised pork tendon. 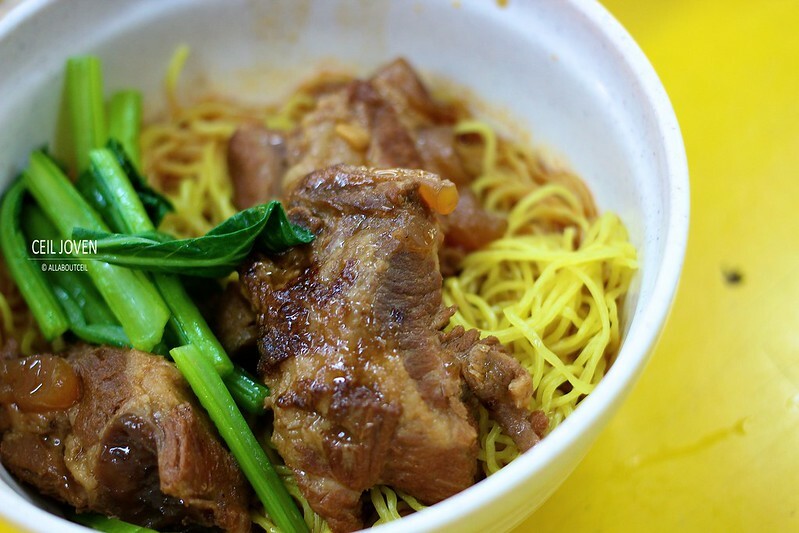 It reminded me of the famous braised beef tendon that i have had in Hong Kong. The stall closed promptly at 3 pm. The Auntie was cleaning up the stall and the Uncle seated at the table next to me and started to make wantons. When he saw me finished my bowl of soup and he asked whether i want a refill. I did not want the refill but i still thanked him for such heart warming service that made me smile. I will definitely come back again for more Pork Ribs Noodle!